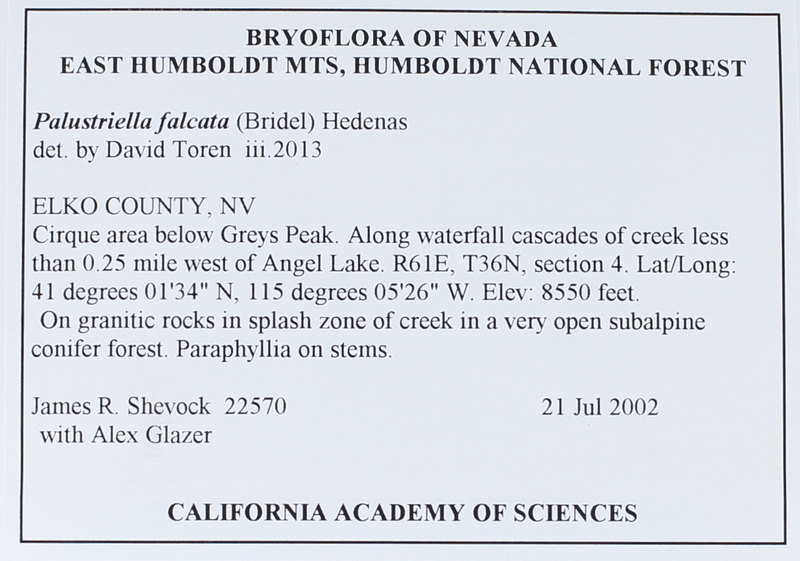 Locality: USA, Nevada, Elko, East Humboldt Mts, Humboldt National Forest. Cirque area below Greys Peak. Along waterfall cascades of creek less than 0.25 mile west of Angel Lake. Habitat: in splash zone of creek in a very open subalpine conifer forest. Paraphyllia on stems.